The latest issue of CoroCoro Magazine is leaking out with further details of the new Dusk Form of Pokémon Lycanroc, following its reveal this past weekend. As translated by Serebii.net, it retains the pure Rock typing of its fellow Day and Night forms from Pokémon Sun and Moon. 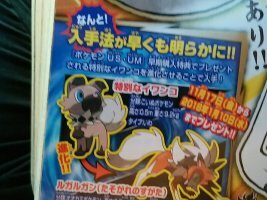 You won’t be able to evolve a Rockruff at dusk to obtain it, however, as the magazine states the Dusk Form is event-only. A special Rockruff distribution will run from game’s launch day, November 17 through January 10, 2018. Only that creature can evolve into its new form within Ultra Sun and Ultra Moon, and not in earlier titles. 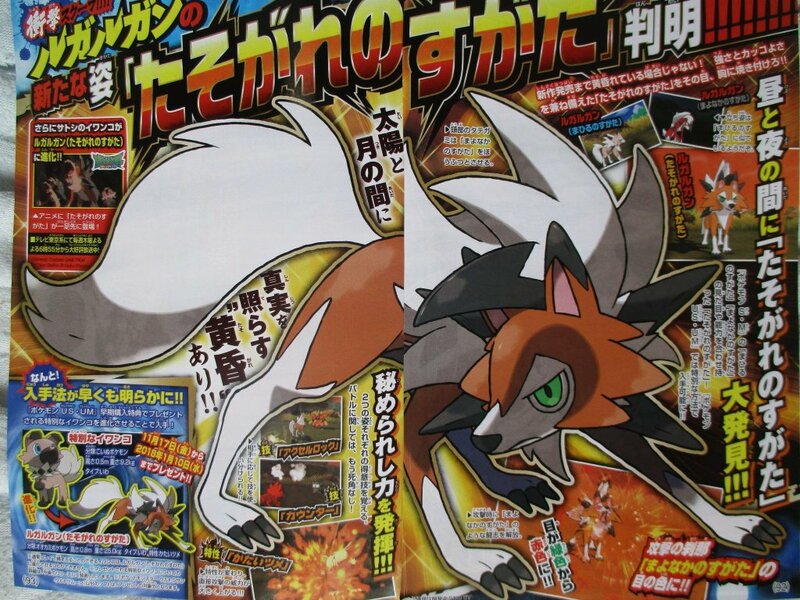 According to CoroCoro, Dusk Form Lycanroc’s eyes turn red when its “fighting spirit” is unleashed. The new Lycanroc follows in the footsteps of other post-launch Pokémon games, such as last year’s Munchlax distribution in Sun and Moon. This event even closely follows the Pokémon Platinum introduction of Rotom’s additional forms, which were exclusive at the time and were introduced in later games thereafter.